Solar garden lamps displaced on the root top garden at 18 Sembawang Hill Drive. It is located somewhere near Ang Mo Kio. These solar lights are put to real working condition. The photo above was taken at the roof top. Please call us 96489942 if you are interested to have a look on them. Best time is at night after 7.30 PM. This two and half stories terrace house is a Foreign Student Hostel which provides full lodging. Please contact Mr. Eric Cheo for more information if you are looking for a place to stay while you are studying in Singapore. Click to see some Pictures of the Hostel. Sunglow PTE Ltd imports solar Led lightings from China to introduce these green products in Singapore. We search through the internet to find the products in china. The reason that we imports product from China are the price is comparative low and the manufacturer is looking for the buyer to export their good. Importing product from China do take risk. I heard from friend who said and from my own experiment; some of the sellers in China after get your payment, they send rejected good to you; or one portion of the products are spoiled or not according to specification. When you ask them for replacement, their answer will be “We will replace the defect good in next shipment when you order more”. My conclusion is even the first samples shipment is a failure and they are asking me to trust them and go for next purchase. One difficulty has to face in order product from China is the fee that you get your good in Singapore port to your place. The minimum charge is about US$ 400. Each time you should order more than US$5000. If not; you will find your product very expansive in the market. * Led tubes of 2ft, 4ft and 5ft. * Solar Garden Lamps which will bright through the night. * Solar Led Lighting system. The life spans for Led lights source and solar panels are long. In every Led web site in the internet they all written the life span of the Led is somewhere near 50,000 hours. Yes, Led can last till 50,000 hours, provide the electrical circuit design and manufacturing were properly done according to the characteristic of the Led source. We do not have 100% defect free in our product, we do have customers bring back malfunction Led bulbs and tubes. After confirm the problem, we do one to one replacement. Time pass fast, the company is 2 years old. Just get information from my supplier, the price of the solar panel drop. I have to adjust my price from SGD7.00 per Watt to SGD4.50. Read up some articles and know more about the Led lighting. I would like to share my feeling about quality of the China Led product. 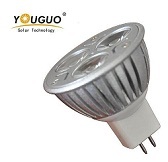 The Led product from China is much cheaper compare to other country. IF without China pushing the Led lighting, alot of us will not see the Led lighting. From internet in Japan the price of one Janpaness 8W Led bulb will cost SGD 150.00 (life span 40 000 working hours). For one 8W Led bulb from China in Singapore cost about SGD40.00 to 50. Life span working hours is from 10 000 to 20 000 hours. If I get a Japan Led bulb and sell in Singapore the price will go up to SGD250.00 I think only few people will buy. China Led company is trying to get the Led light common to the world. Their products do save electricity and do green to our world. Yes there is product ready bad but it is the choice you make. You can get from shop that have warranty and make your money valued. Thank you for reading this page. We trust our products do fill your need. They will reduce your electrical charge and make our environment more GREEN.